New York, curated by a New Yorker. If this title doesn't speak for itself, allow me to translate: we went HAM in the eating department during our trip to Annapolis last weekend. That's "HAM" as in Hard as a Motherf*cker for anyone who hasn't listened to rap in the past two years. What can I say? I'm a big fan of getting to know a place through its food and I'm also a big fan of taking pictures of my food. So, deal with it. 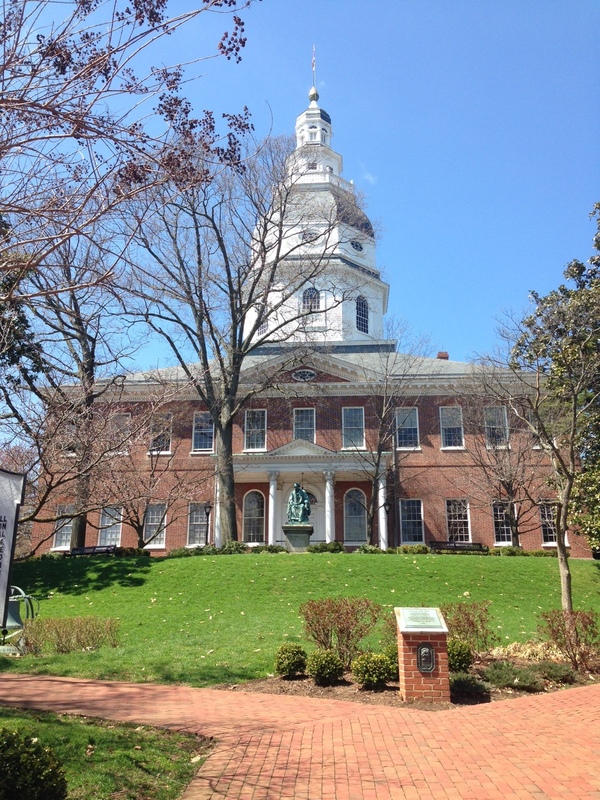 Below, I've crafted up the perfect "1-Day in Annapolis" foodies adventure. We woke up Saturday totally flustered and eager to get outside into the nice weather. Wrongly assuming that everyone else had gone to visit the Cherry Blossoms in D.C., Matt and I scooted downtown by ourselves and went to the famous Miss Shirley's Cafe. While there was a wait (as there apparently always is) it was a swift 35 minutes. During this time, we were able to sit outside in the sunshine and enjoy one of their delicious craft Bloody Mary's while we waited. 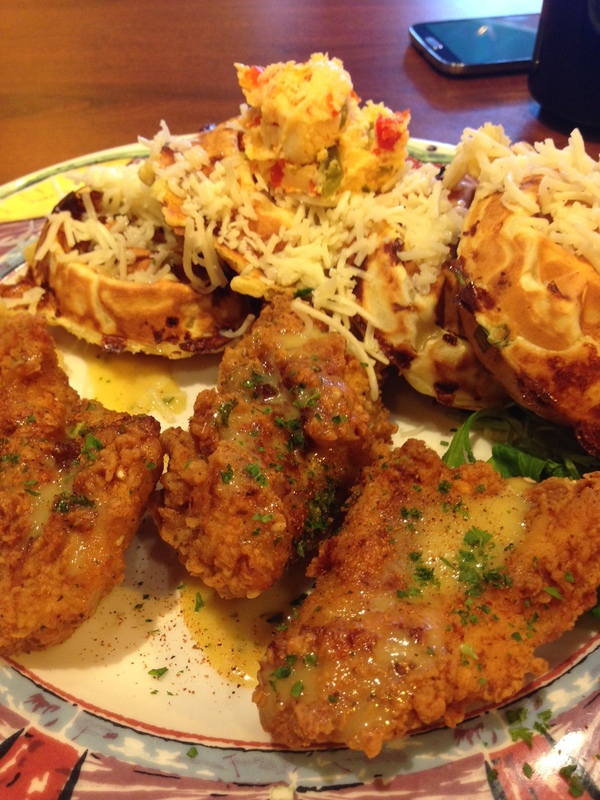 Then we ordered two dishes that only made sense given we were back down in Maryland: a crab & bacon omelet and chicken and savory waffles. Naturally, neither dish disappointed. Next, we drove down to the inner harbor and took our first selfie as a couple. Major milestones all around! We strolled around the gorgeous downtown area and for a moment, I blacked out and thought I was still in school at UMD, so I bought a few pairs of Sperrys. Then, we continued up on the cobblestone streets toward the state house and caught a guy playing the Game of Thrones theme song on the violin. Then, I blacked out again and forgot we just ate breakfast. 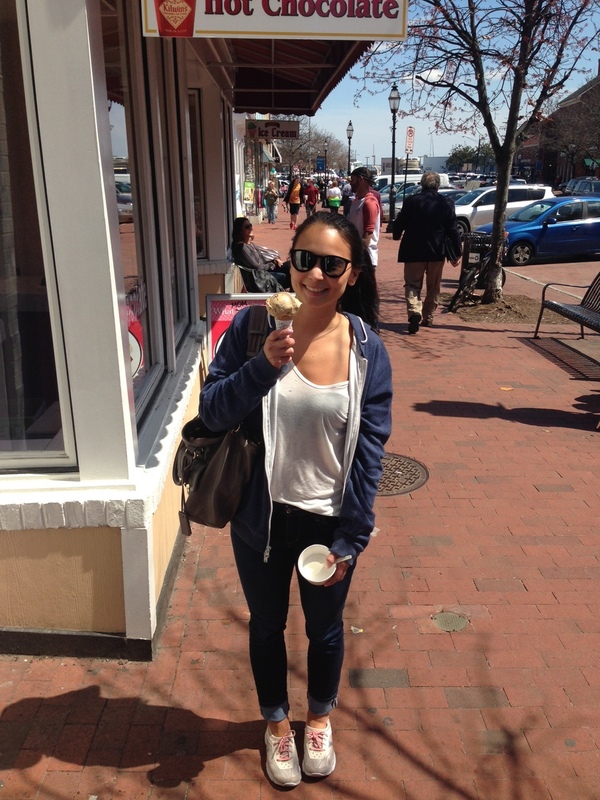 Cue, ice cream from Kilwins. Around this time, we received a text from Matt's brother Dylan to meet them at McGarvey's back down by the water. This is when we realized that we were, for the first time in history, the first of the group to have left the hotel that day. Apparently, everyone else was just beginning brunch. To make sure we were contributing still, we helped them out with some shrimp and oysters. After a much-needed nap back at the hotel, we all hopped aboard a party bus and ended the evening at Cantlers for about 8 dozen amazing crabs. Does it get more Maryland than this! ?